Who is Minnesota Valley Chorus? 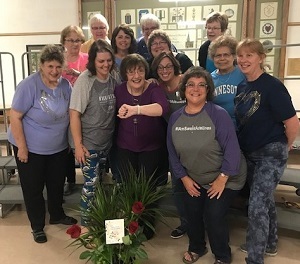 Minnesota Valley Chorus is a group of regional women singing barbershop harmony. We meet regularly to practice, perform, socilize and have fun. We are part of an International non-profit organization Sweet Adelines International with over 30,000 members world wide focusing on accapella singing and musical education. Our members currently live in Mankato, North Mankato, Eagle Lake, St. Peter, Elysian, Madelia, Nicollet, Rochester and Menominie, WI. We will be starting our weekly rehearsals on Tuesday January 8th at 7 PM. All are welcome! 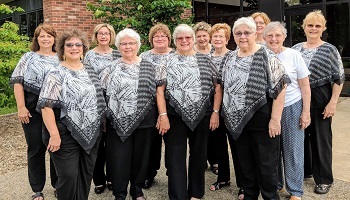 Want Minnesota Valley Chorus to sing at your next function?